The medieval Dance of Death and variation form always belonged together, and Franz Liszt’s Totentanz is a splendid example. In the European cultural tradition, the Dies irae is closely bound up with the experience of death. Liszt’s use of motive transformation—particularly the practice of modal reshaping—permitted him to unfold this theme in a series of ever new character variations, with their contrasts oriented around a common denominator. This according to Haláltánc: Variáció, épitkezés, modális transzformáció Liszt Ferenc zenéjében by József Ujfalussy (Budapest: Akadémiai Kiadó, 1990). Happy Halloween from RILM! 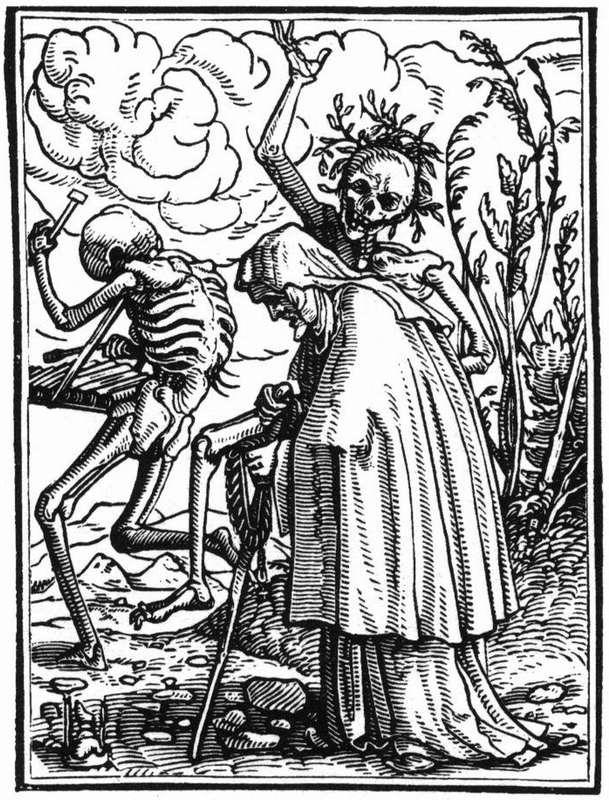 Above, a woodcut from Hans Holbein the younger’s Danse macabre series, one of the visual works that inspired Liszt. Below, a performance by Beatrice Berrut. Several hypotheses regarding the cause of Mozart’s death have been advanced, but until now none have noted the likelihood that a very low level of vitamin D in his system contributed to his untimely demise. 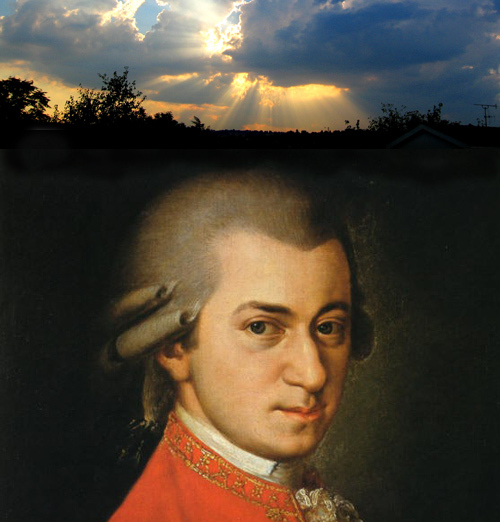 Mozart did most of his composing at night, so he must have slept during much of the day, minimizing his exposure to sunlight. Further, at Vienna’s latitude (48°N) it is impossible for the body to make vitamin D from solar ultraviolet-B irradiance for about six months of the year. The composer died on 5 December 1791, about three months into the vitamin D winter; since the half-life of vitamin D in the human body is four to six weeks, his level of the nutrient would have been very low—an important risk factor for infectious diseases. This according to “Vitamin D deficiency contributed to Mozart’s death” by William B. Grant and Stefan Pilz (Medical problems of performing artists XXVI/2 [June 2011] p.117). Below, Jerry Hadley discusses solar irradiance in “Si spande al sole in faccia nube talor così” from Mozart’s Il rè pastore. After Haydn’s funeral in Vienna his former employer, Prince Esterházy, obtained permission to have the body exhumed and moved to Eisenstadt. The matter apparently then slipped his mind until, 11 years later, a distinguished visitor remarked to him that it was fitting that he possessed the composer’s remains. Not wishing to contradict his guest’s assumption, Esterházy quickly arranged for the coffin to be brought to Eisenstadt; but when it was opened for identification, the horrified officials discovered a headless body—only Haydn’s wig remained. Inquiries led to the revelation that two students of phrenology had bribed the gravedigger and stolen the composer’s head a few days after the funeral. Esterházy was furious, and demanded that the skull be returned, but efforts to claim it were thwarted when the wife of its keeper secreted it in her straw mattress and lay down on top of it, feigning illness. When Esterházy offered a bribe, he was given the skull of an old man, and this was placed in Haydn’s coffin. The composer’s skull was not reunited with his other remains until 1954. This according to “An incongruous postlude” in Haydn: A creative life in music by Karl and Irene Geiringer (Berkeley: University of California Press, 1968). For more on Haydn’s physiognomy, see this Bibliolore post. Above, a drawing of the marble tablet—now lost—erected by Haydn’s devoted pupil Sigismund von Neukomm at the composer’s Viennese resting place in 1814 (click to enlarge). 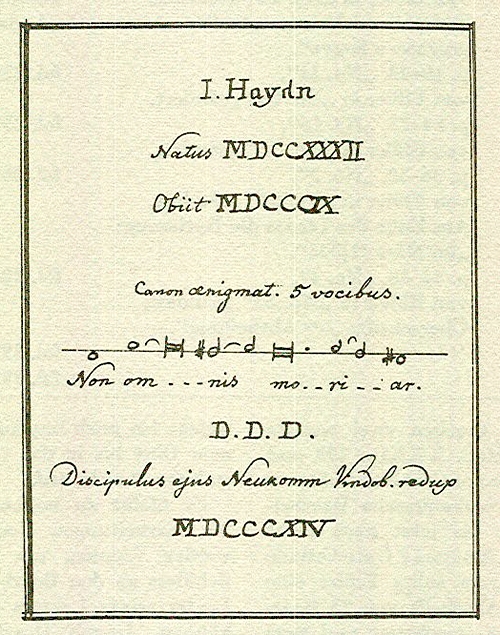 The inscription includes Haydn’s favorite quotation from Horace, non omnis moriar, set by Neukomm as a puzzle canon. Generally, Festschriften fall into three categories: memorial volumes, issued shortly after the death of the honoree, and often comprising personal tributes and reminiscences; commemorative volumes, published to honor some milestone in the deceased dedicatee’s life; and Festschriften proper, presented to a living recipient on the occaision of a birthday, anniversary, or transitional event. For more about this publication type, see the Preface to RILM’s Liber amicorum, the first volume in our retrospective Festschriften project. 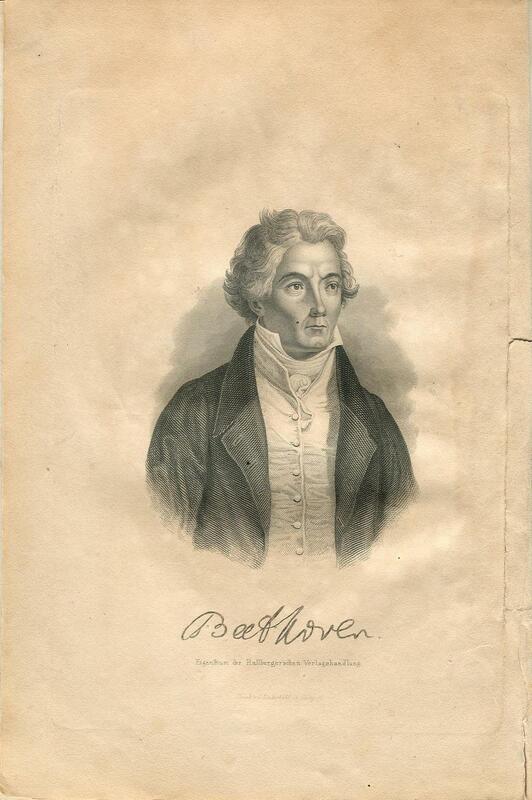 Above is a reproduction of the frontispiece for Beethoven-Album: Ein Gedenkbuch dankbarer Liebe und Verehrung für den grossen Todten, a commemorative volume published in 1846; the book includes poems and compositions dedicated to the composer, including works by Liszt, Meyerbeer, and Czerny.